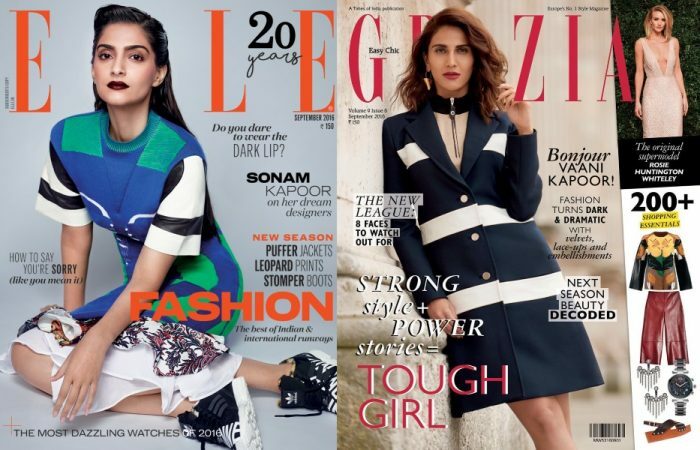 Wearing Louis Vuitton, Sonam and Vaani grace the cover of Elle and Grazia’s September editions. Either one grab your attention more? Wearing a Resort 2016 Missoni maxi, Kriti graces the cover of Grazia’s January issue. Liking the clean, accessory free styling here? With a movie right around the corner, it was no surprise that Athiya landed the cover of a fashion mag. 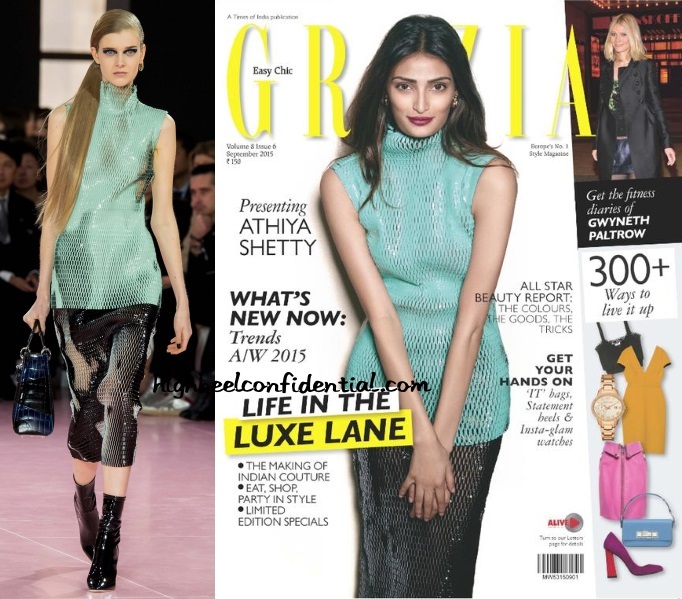 Here she is featured on Grazia’s September issue wearing Dior separates. Love/Like? We haven’t seen much of Ms. Penty but thanks to Grazia, we get to see her on the cover of its July edition wearing Abraham and Thakore separates with Louboutin espadrilles and Bangdar Sarali earrings. For a summer issue, the cover feels a bit dark. What do you think? With Kashmir providing a hazy backdrop, Rikee covers Grazia’s Jan edition wearing a ruffled Michael Kors dress with a Rahul Mishra woven jacket and plenty of jewellery from Amrapali and Silverline. We like this cover quite a bit. You?